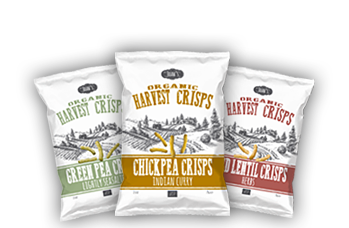 Joan’s Organic Harvest Crisps are premium selected and harvested puffed cereals and pulses. The people from Joan’s asked themselves why almost all snacks are made from potatoe or wheat? Mother earth offers so much more to explore. Try one of the many adventurous flavours Joan has composed with passion, just for people like you. Discover a world of delicious organic plant-based snacks. You’ll be suprised how delightful chickpeas, lentils, green peas or corn will taste when given the passionate Joan’s treatment. Joan’s farmers cherish their crops with love. To qualify for our harvest crisps, only premium quality veggies, legumes, nuts and seeds are harvested. The plants are nurtured under strict organic conditions. This means no use of gen-tech, no chemicals and farming with great respect for the local ecosystem and the treasures of mother earth as a whole. Enjoy the pure taste of nature. Good for you, better for the world. Read more about organic agriculture. 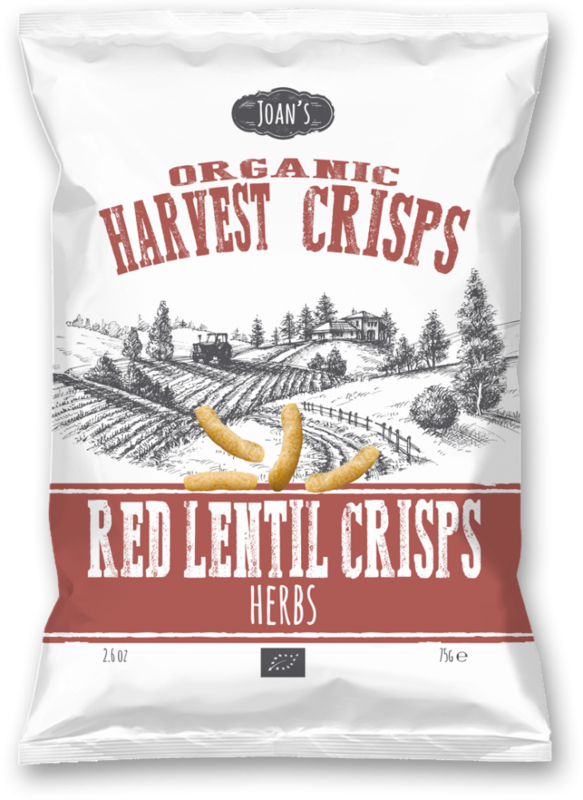 Joan’s Harvest Crisps are made from organic crops. We all want shiny and strong crops. But nature hasn’t reserved all the food for us human beings. Loads of organisms also profit from the veggies we plant for our consumption. They eat the leaves and roots or find perfect humid breeding places for their larvae and fungi to grow. Organic farmers use natural methods to decrease the effects of these harmful organisms. If possible they introduce natural enemies to achieve a healthy natural balance. Chemical pesticides are not allowed in organic agriculture. Organic farmers envision nature as a coherent system. When you start engineering the characteristics of one organism, it could potentially harm other species in the system. The effects cannot be predicted at this time. So better safe than sorry. Improving the quality of crops by classic plant breeding (crossing) is allowed in organic agriculture. But using genetically modified organisms (GMO) is strictly prohibited. With organic certified products you can be sure you won’t be eating any gen-tech food. Organic farming takes place in living ecosystems and natural circuits. The organic method requires adaptation to local conditions. Those who produce organic products must contribute to the protection and improvement of the shared living environment, including the landscape, climate, habitats, biodiversity, air and water. For example this means prevention of pollution by using fertilizer sparingly. But also combining diverse crops to prevent the negative impact of mono-culture on the farmland. Organic products contain nothing but natural ingredients. That might sound logical, but most factory processed food you buy in the supermarket contains many enhancing additives to improve the structure (stabilizers), taste (artificial aromas), color (colorants), shine (lice brightener) and shelf life (preservatives). Organic manufacturers also usually add less sugar and less salt to retain the authentic flavour of the ingredients. They embrace the taste and quality that nature provides. Do you like it? Joan’s Harvest Crisps Chickpea Curry are made of premium quality organic chickpeas. They are baked in the oven to get the right crispiness. The chickpeas are sorted, grounded and roasted under high temperature in our special crisps factory. Then we add a secret blend of curry spices to give them that irresistible flavour. 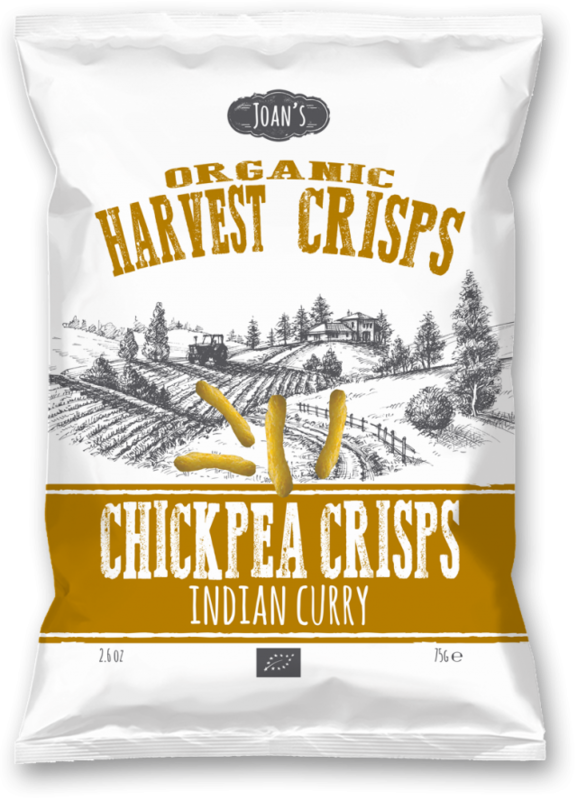 Joan’s Harvest Crisps Chickpea Curry give you a healthy dose of protein and fibre. Joan’s Harvest Crisps Lentil Rosemary are made of premium quality organic red lentils. Baked in the oven to get the right crispiness. The lentils are sorted, grounded and roasted under high temperature in our special crisps factory. We add a touch of rosemary to give them that irresistible flavour. Joan’s Harvest Crisps Lentil Rosemary give you a healthy dose of protein and fibre. 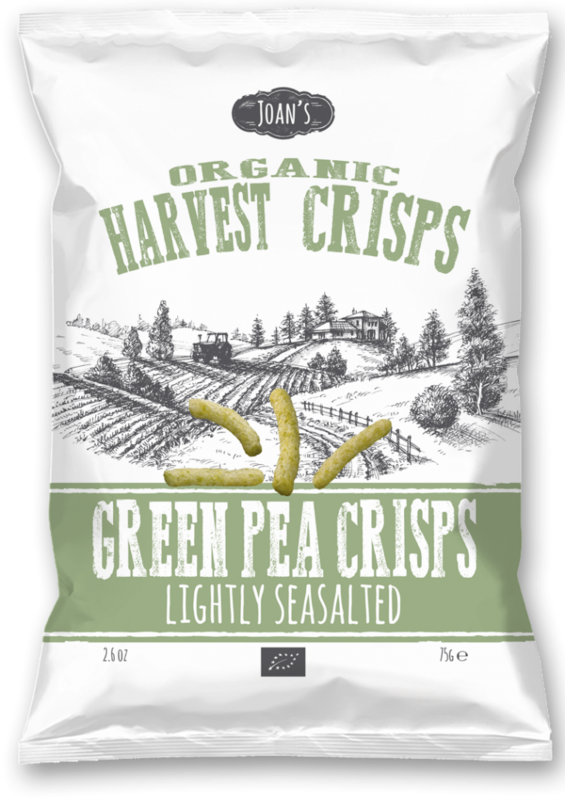 Joan’s Harvest Crisps Green Pea Sea Salt are made of premium quality organic green peas. They are baked in the oven to get the right crispiness. The peas are sorted, grounded and roasted under high temperature in our special crisps factory. We add a pinch of sea salt to give them that irresistible flavour. Joan’s Harvest Crisps give you a healthy dose of protein and fibre. Joan’s Harvest Crisps are baked in the oven to get the right crispiness. Regular chips are fried, the reason they generally contain more fat. Our organic crops are sorted, grounded and roasted under high temperature in our special crisps factory. Each recipe is well balanced to give you a healthy dose of proteines and fibres. Celebrate life with our crisps. You can happily snack some bites every day. But don’t eat them all at once! Try all five flavours and discover the variety of freshly harvested veggies. Except for the Classic Cheese flavour our crisps fit into a vegan diet. Fibre are found only in plants. 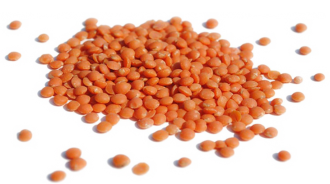 Typical Joan’s ingredients such as lentils, chickpeas, nuts and green peas are a good source of fibre. Fibre contribute to a healthy digestion and improves the stool. It is also said fibre lowers the risk of diabetes and heart disease. Eating sufficient food rich in fibre could further lower your cholesterol and help maintain a healthy body weight. Now that’s happy snacking! Most of Joan’s Harvest Crisps are perfectly ok for vegans. Except for the Classic Cheese flavour all crisps contain only plant-based ingredients. No dairy, egg or animal-based product enhancers such as lice brightener or porcine gelatin are used. No animal has even came near your crisps. Well ok, the humans in our production plant did 🙂 With these delicious organic snacks you savour 100% plant power. Harvest Crisps are baked in the oven to get the right crispiness. Regular chips are fried, the reason they generally contain more fat. Joan’s organic crops are sorted, grounded and roasted under high temperature in our special crisps factory. Yes, we add some sunflower oil to the blend. This make them taste even better and gives them that golden shine after they’ve finished their oven-baked treatment. We love ‘m that way. Don’t you? Joan’s uses only organic ingredients. This means you won’t find any traces of chemical pesticides, simply because these are not allowed in organic agriculture. With organic certified products you can further be sure you won’t be eating any gen-tech food. What’s more, these delicious crisps contain no preservatives, colorants, artifical aromas or other product enhancers. Good for your health, better for nature. Chickpeas are one of the best meat alternatives. Full of protein, vitamin B and iron; exactly the valuable nutrients that meat offers. 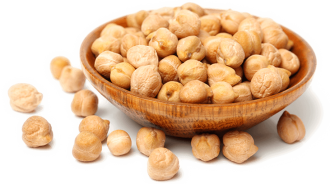 You won’t be suprised chickpeas are a favorite ingredient of many vegetarians and vegans. Not only do they provide all neccessary things your body needs, you can also cook a wide variety of dishes with this superfood. And now there is Joan’s Chickpea Curry. Snacking has never been better. Protein are essential for every animal. 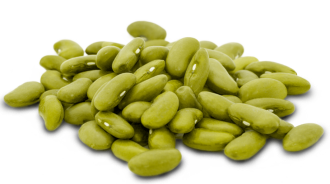 They provide loads of calories and amino acids. Amino acids help build up body cells. Protein are found in both plants and animals. Because the concentration of protein in meat and fish is generally much higher, eating sufficient vegetable alternatives is a quest for vegetarians and vegans. Luckily Joan’s is a good source. Chickpeas, lentils, peas and nuts are full of protein. Want to contact the Joan’s family? Here’s where you can find us. We’ll be happy to answer all your questions and love to read your suggestions.